The objective of this IFRS is to establish principles for the presentation and preparation of consolidated financial statements when an entity controls one or more other entities. each component of other comprehensive income [IFRS 10.B94]. The basic requirement in IFRS 10 is that each group entity’s financial statements are drawn up to the same reporting date for consolidation purposes. Where reporting dates differ, additional financial information is prepared for consolidation purposes, unless impractical [IFRS 10.B92]. For IFRS, the parent company and its subsidiaries must have and apply uniform (i.e. the same) accounting policies. If not, appropriate adjustments are made when preparing the consolidated financial statements to ensure conformity. 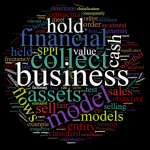 The extent and complexity of this exercise depend on the nature of the group’s activities and the basis of preparation of individual group entities’ financial statements. 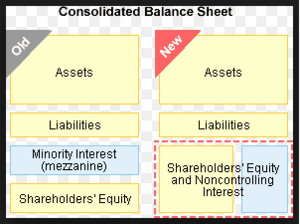 The financial statements of foreign subsidiaries must be translated into the group’s presentation currency (which is often, but not always, the parent’s functional currency). The relevant requirements are included in IAS 21 ‘The Effects of Changes in Foreign Exchange Rates’. recording resulting exchange differences in other comprehensive income.